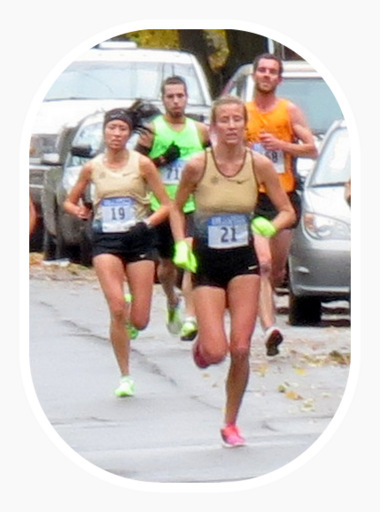 There are over forty photos in the Slideshow that accompanies this webposting, which focuses on the first wave of runners reaching Lawrence the Indian in the Stockade district, the halfway point of the race. I moved on from the Circle right after master runner Emily Bryans (who placed 101 overall) passed by. After that, I took most of my photos at the intersection of Front St., Washington Avenue and Cucumber Alley. 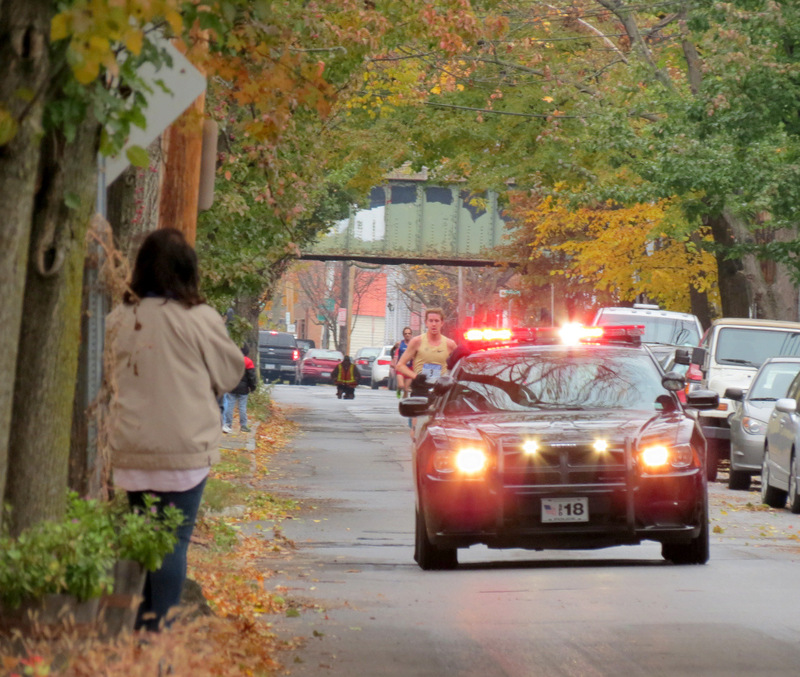 The result is the posting “people-watching at Stockade-athon 2013,” which has an additional 110 photos. If you’re hungry for even more images of the Stockade-athon in the Stockade neighborhood, click here for a posting with links to our extensive Stockade-athon photo coverage, from 2009 – 2012. 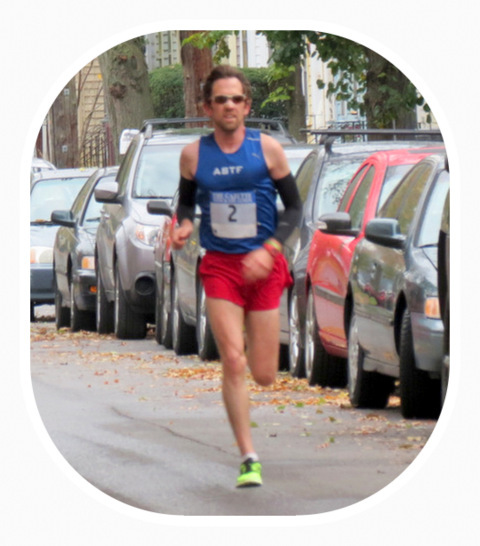 Results: Find them all in a searchable chart at Albany Running Exchange. The 1st and 2nd place winners — Michael Fout and Josh Simpson — were also first and second to Lawrence Circle. The next to finish were Sam Morse, Patrick Geoghegan, and Jaime Julia. The 1st and 2nd place runners in the women’s division — Hanna Davidson and Laurel Leone, respectively — were also the first and second women to reach Lawrence. The next to finish were Katie O’Regan, Alexandra Varsanka, and Sara Dunham. Mike Fout [BIB3] and Josh Simpson [BIB 2] where also the first two runners to reach the Lawrence Circle. Fout had a nice lead, and Simpson was well ahead of the third runner to cross into the Circle, Albany’s Alex Paley [BIB7]. Each of the photos in the following Slideshow can also be found in the Gallery at the foot of this webposting. Click on any thumbnail in the Gallery below for a larger version of a photo. Feel free to use any photo for non-commercial purposes; if used online or in a publication, please attribute photos to suns along the Mohawk and David Giacalone. 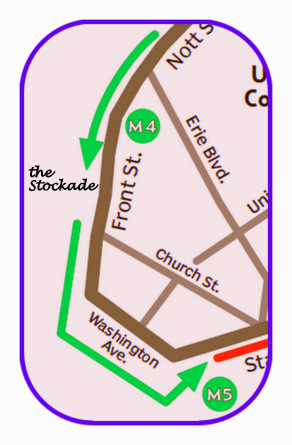 For more information, visit the official Gazette-Stockade-athon website, which includes a Course Map. 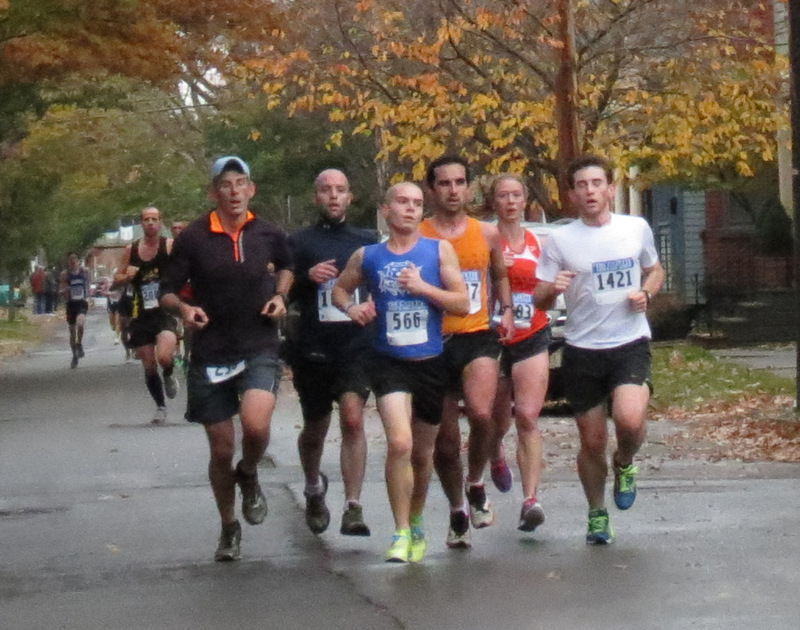 Thank-yous go out to Hudson Mohawk Road Runners Club and the Schenectady Gazette for sponsoring the race; to all the volunteers; and to each and every runner. 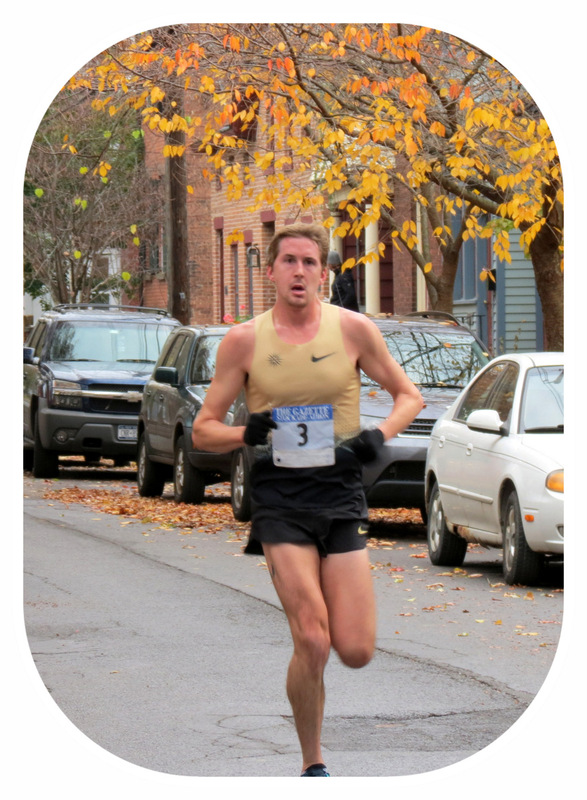 Special thanks to Race Director Vincent Juliano, who provided me with his 2013 Seeded BIB List with Bios.